Bonnecaze Plumbing, LLC is owned and operated by Ronny Bonnecaze. Ronny has been plumbing since the age of 18. 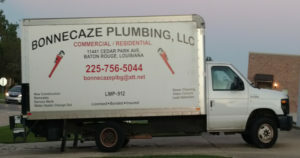 After working as a journeyman plumber for a few years, he became a Master Plumber and opened his own company, Bonnecaze Plumbing, operating out of a small building located on Stevendale Road in Baton Rouge. 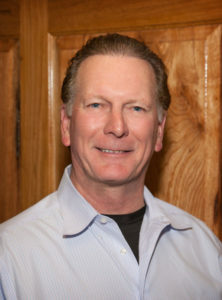 In 1990, he purchased a building shell in Cloverland Business Park, completed it, and opened the doors to Bonnecaze Plumbing at 11441 Cedar Park Ave. Bonnecaze Plumbing was incorporated in May 2003, and became Bonnecaze Plumbing, LLC. Ronny has over 40 years in plumbing experience. Ronny has his Louisiana State Contractor’s License, Louisiana State Master Plumber’s License with Water Supply Protection Specialist (WSPS) endorsement, Master Gas Fitter License, and Backflow Prevention Specialist Certificate. 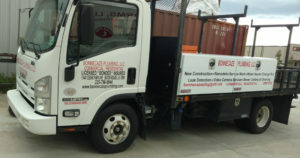 Bonnecaze Plumbing performs both new commercial and residential plumbing, in addition to remodels and service and repair work for both commercial and residential. Bonnecaze Plumbing performs sewer cleaning and video camera work to locate and determine leak issues, as well as backflow preventer testing and certification. We provide courteous and prompt service to all our customers. No job is too big or too small. © 2019 Bonnecaze Plumbing of Baton Rouge, LA. All Rights Reserved.